Secrist has created a video encyclopedia series called Special Reborn Technique Encyclopedia. It's your own special reference library that lets you pick and choose what you would like to learn when you would like to learn it. In this DVD well-known artists Danielle Zweers and Michele Barrow-Bélisle demonstrate their most famous techniques. Click here to order now OR for more information on exactly what is in this latest DVD! Learn how to paint minis in just three steps. Discover the secret to painting baby's eyes filled with love. Learn the secrets to using the most popular skin texture tool in the reborn world. Danielle Zweers demonstrates up close every step of the way exactly how she achieves her amazingly lifelike look using her Secrist Skin Texture Tool. 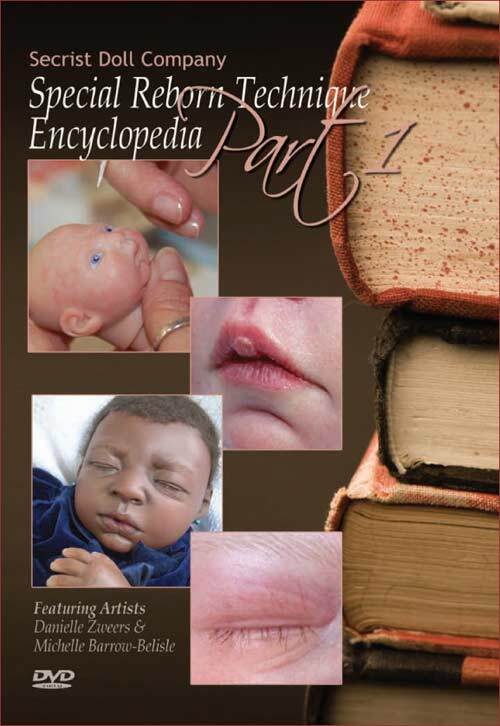 Learn how to paint incredibly delicate veins on your baby's eyelids for even more realism.